2: Attched the bicycle by velcro strip. 3: Rigid construction,always looks good on your bike. 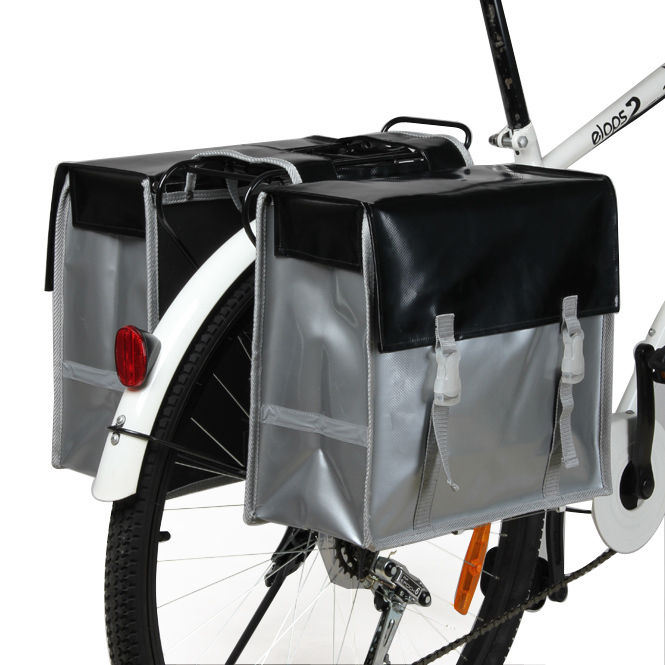 4: Fashion bike rack double pannier bags connect lid and body by buckles. 5: With front and rear reflective strips.